CCCC holds an annual criterium championships, at a date published on the calendar. 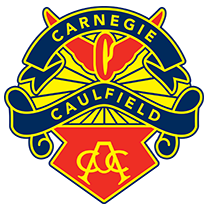 Only current A Grade riders can contest the Men’s Championship. Where possible, a separate women only race will be held to decide the Women’s Championship. Women from every grade are eligible to contest this event. Both races may be open to non CCCC riders, however the CCCC Championship will be awarded to the highest placed CCCC member. The winner of each race will be entitled to wear the number 1 saddle cloth at all CCCC criteriums until the next championships are held.